An African-American teenager killed by police while fleeing a traffic stop this week wrote a poem two years ago saying he never wants his mother to feel the pain of burying her son. 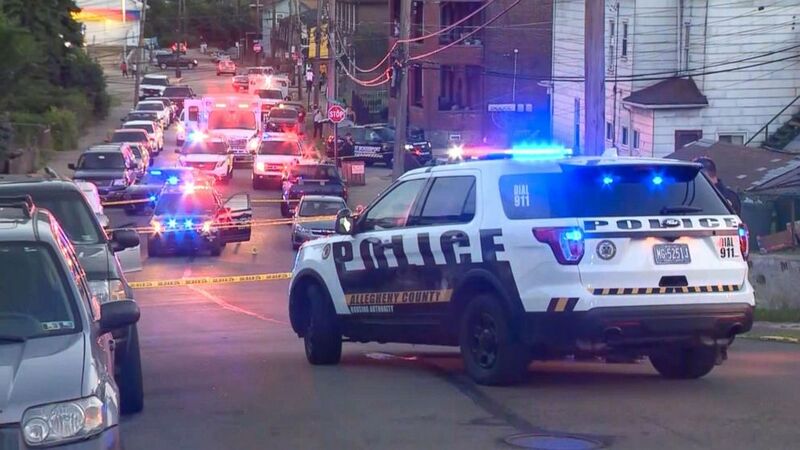 Antwon Rose, 17, was shot dead by an East Pittsburgh police officer Tuesday after the teen and two others were pulled over in a car believed to have been connected to an earlier shooting that night. Rose was unarmed, but he was found with an empty gun ammunition clip in his pocket after he was shot, Allegheny County District Attorney Stephen Zappala told ABC affiliate WTAE in Pittsburgh. The deadly shooting was caught on cell phone video and has prompted massive peaceful protests in the Pittsburgh area. 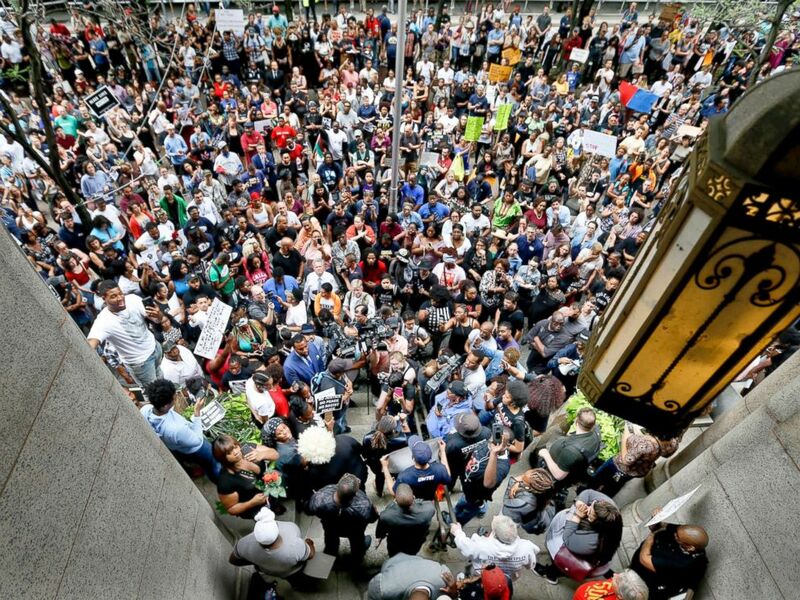 Protesters swarm the front of the Allegheny County Courthouse as they rally, June 21, 2018 in Pittsburgh for the killing of Antwon Rose Jr. who was fatally shot by a police officer. 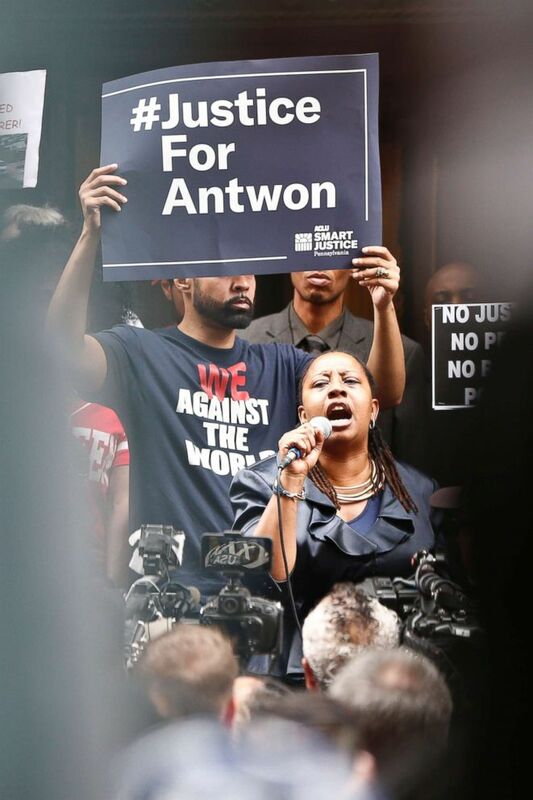 Protesters rally in front of the Allegheny County Courthouse June 21, 2018, in Pittsburgh for the killing of Antwon Rose Jr.
Rose's family is "devastated" and "stunned," by his death family attorney Fred Rabner told ABC News Thursday. Rabner described Rose as a "beautiful, kind" and hard-working teenager who worked with young children at a gymnastics gym as well as at a local Domino's Pizza. "His smile earned him instant love by kids and parents," Rose's gym employer, Kimberly Eads Ransom, wrote on Facebook. "He was friendly, goofy and fun. ... chasing my kids with pool noodles and jumping on the trampoline." "He had big plans and dreams and was a people pleaser," she said. "My favorite memory of him is when he showed up in a full suit in the sweltering heat for his gym job interview. I hired him on the spot." Rose was a "charismatic kid who had a firm handshake, made eye contact and was respectful," his friend's father, Ben Schmitt, wrote on Facebook. "Sometimes he brought my girls pizza from Domino's, where he worked. I know he was beloved by his friends at school. I know he took AP courses and excelled. I know Jordan's and Chloe's hearts are broken along with many of their friends." "It's senseless," Rose's cousin, Theresa Lynn Rose Monroe, told ABC News. "He wasn't a threat. And I just don't understand why -- why does it got to keep happening?" "It doesn't seem to me that there is any justification ever for shooting an individual who is fleeing in the back," Rabner said, adding that the officer was standing "poised" and appear to shoot from 15 to 30 feet away. 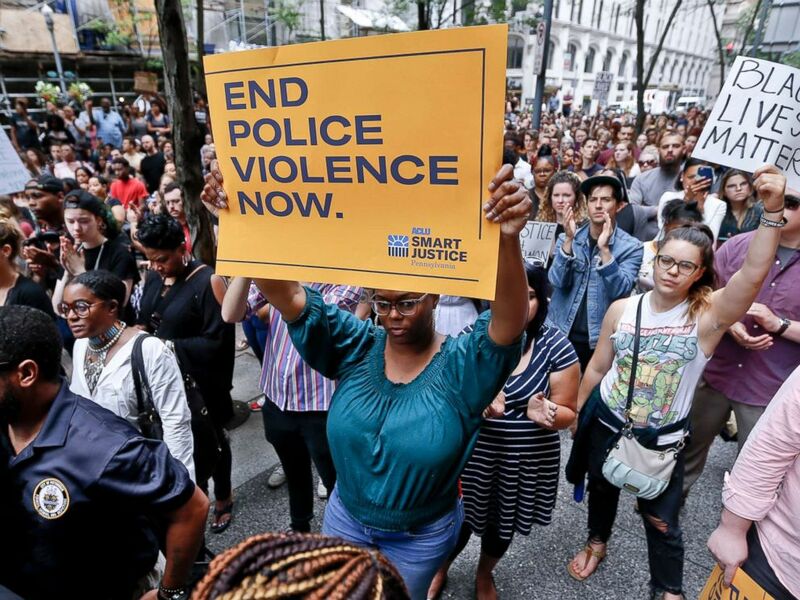 Protesters listen to one of the speakers as they rally in front of the Allegheny County Courthouse, June 21, 2018, in Pittsburgh for the killing of Antwon Rose Jr. who was fatally shot by a police officer. Protesters chant "Hands up! Don't shoot!" at motorcycle officers near the head of a line of vehicles stuck on Interstate 376 in Pittsburgh, June 21, 2018 for the death of Antwon Rose. The incident that led to Rose's killing Tuesday night began with a separate shooting about 15 minutes earlier, when someone in a passing car shot and wounded a 22-year-old man. "Witnesses described the vehicle involved in the shooting, and the description was broadcast" to officers, police said. An East Pittsburgh police officer spotted a car matching the description and pulled the car over, police said. The 20-year-old driver -- whom ABC News has confirmed operated as a Jitney driver, which is similar to ride-sharing services Uber and Lyft -- was ordered out of the car and directed to the ground, police said. The officer shot three times at Rose as he fled and struck him three times, police said. At least one gunshot wound was to his upper body, the medical examiner's office said. 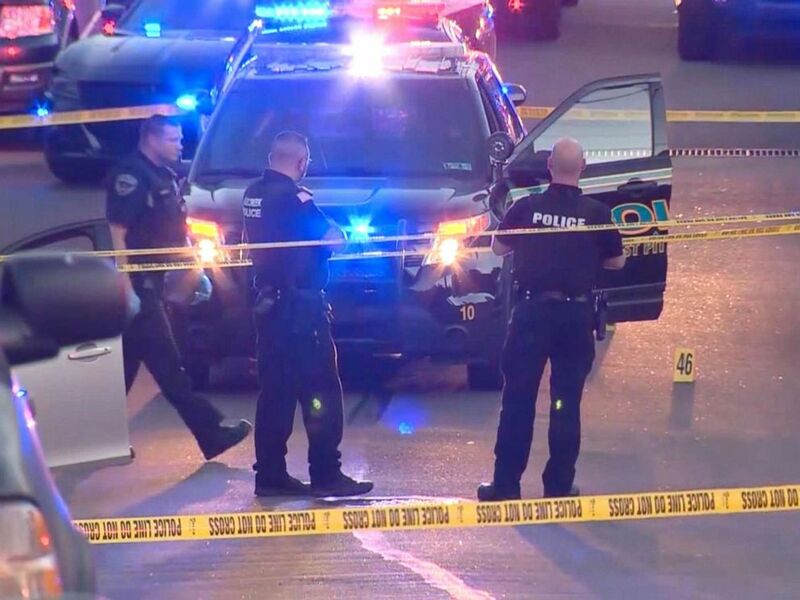 Pennsylvania authorities say police shot and killed a 17-year-old who was fleeing a traffic stop near Pittsburgh, June 19, 2018. The officer who shot Rose, 30-year-old Michael Rosfeld, had been with the East Pittsburgh Police Department for three weeks as a part-time officer and was sworn in hours before the shooting occurred, he told WTAE. Rosfeld previously worked as a law enforcement officer at other agencies, including the University of Pittsburgh Police Department from 2012 to Jan. 2018. "We are profoundly saddened by the death of Antwon Rose," the East Pittsburgh Mayor, Council and Police Department said in a statement. "This is a tragic loss for his family and friends as well as for our community as a whole. We offer our deepest sympathy and condolences to Mr. Rose’s family and friends, the residents of East Pittsburgh and all those affected by this tragedy." 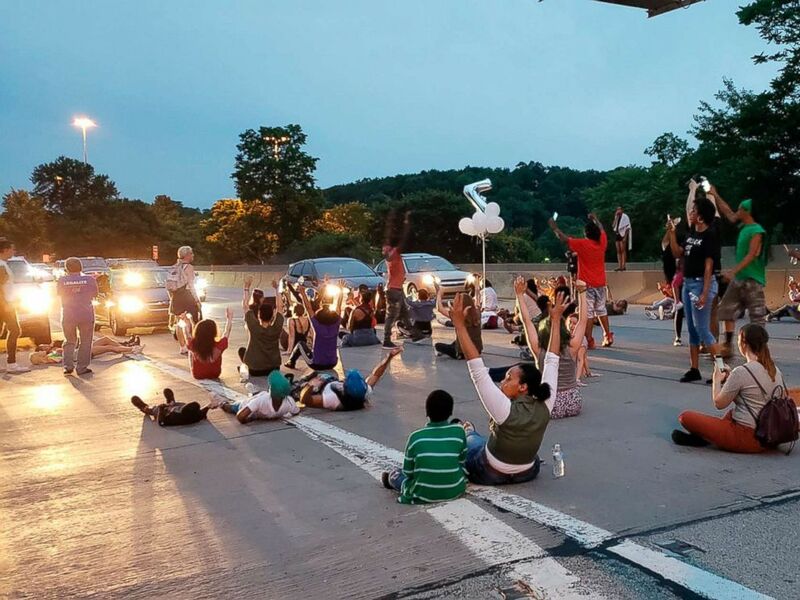 People protesting the East Pittsburgh police after the June 19 shooting death of Antwon Rose shut down Interstate 376 in Pittsburgh, June 21, 2018. "This is a very stressful time for our community," the statement continued. "We are seeking truth and answers but the process takes time. We hope that everyone can respect this process." "We are committed to finding the truth in this investigation," Allegheny County Police Superintendent Coleman McDonough told ABC News Wednesday. The district attorney's office said it does not plan to release updates on the investigation until next week, "out of respect for the grieving process that the family and friends of Mr. Rose are going through and the upcoming Monday funeral." ABC News' Sabina Ghebremedhin and Natasha Allen contributed to this report.